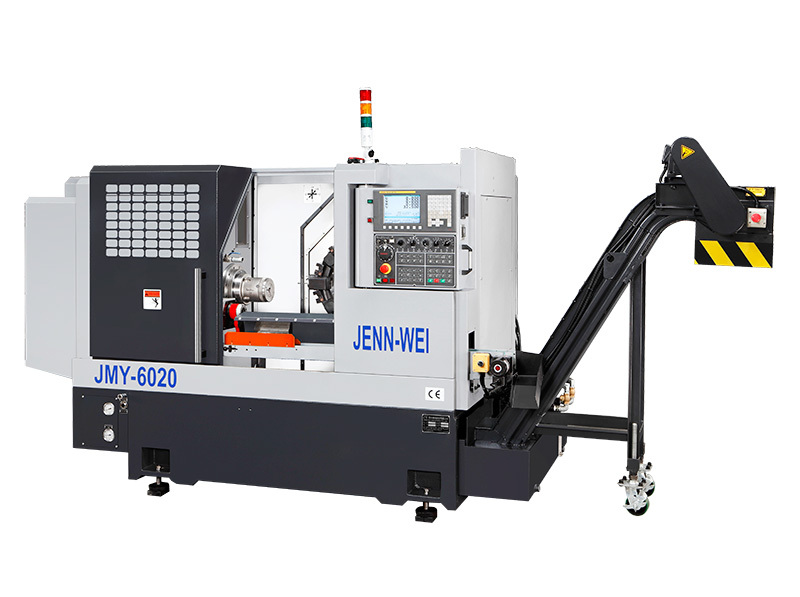 "Taiwan's best manufacturer of CNC Multi-Axis Turning Milling Center and Multi Axis CNC Lathe- Jenn Wei Machinery Co., Ltd."
Machine with rigid Casting , equips with high precision Ball Screw for precision and complicate parts cutting. 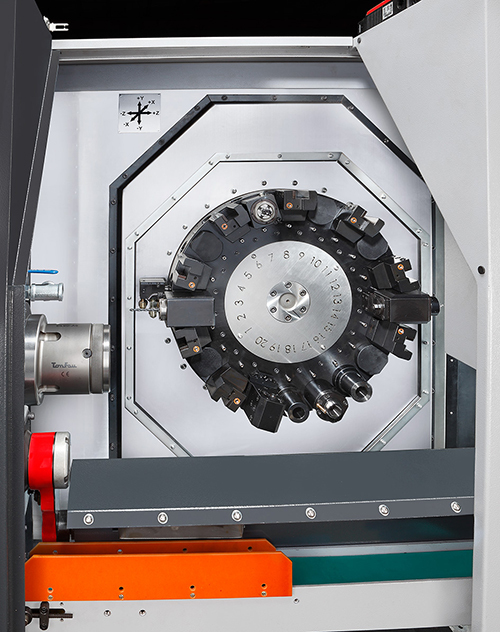 It can saves machining time since it has C and Y axis for milling, turning and tapping in one cycle. It is suitable for auto, electric, mechanic, hardware, hydraulic and medizin parts. Turret use Servo System for quick and stable index. Turret equips with 20 Tools for all complicate parts , so the performance is very high. The turret of the Y asix is used the advanced four roller guide way. It is suitable heavy duty and a big travel. It is higher rigid and accuracy. 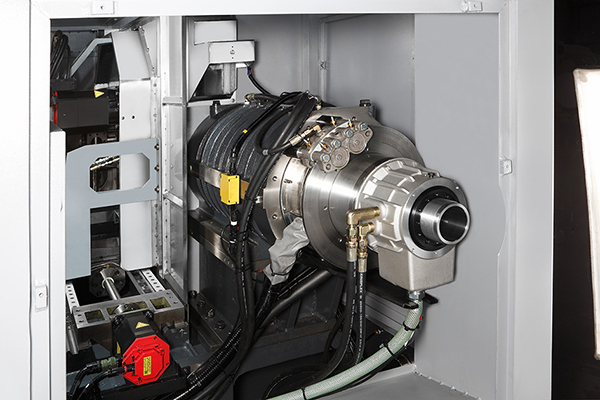 Driving tool uses direct transmission. So the driving tool speed is very high, but with quiet sound, low wear out, high Torque. *This Servo Turret equips with Y axis, 120mm . High ridigity to perform all kinds of Milling function. Using high perfomace Fanuc, Mitsubishi position encoder accuracy attend ±6 angle seconds. Finished part are deliverd by rbot ar and conveyor collect finihed parts to outside.